Did you have a good weekend? Overall mine was pretty quiet but its going to be a busy week so a quiet weekend is just what I needed! 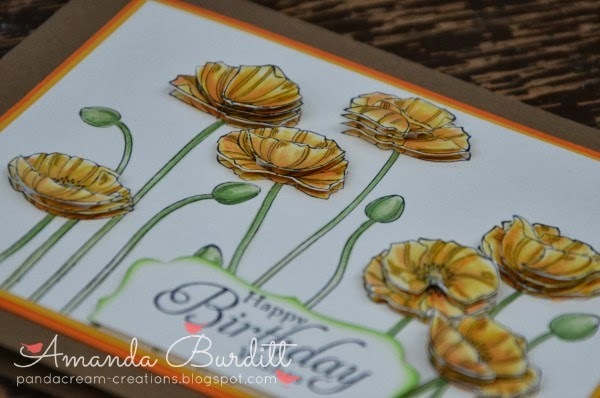 I borrowed the Pleasant Poppies stamp from my downline a little while ago and thought it was about time I showed you something I made with it. This card is one that I naively thought wouldn't take TOO long but ended up taking AGES! Its a pretty simple card but the layers took a lot of time. It ended up making for a really classy card but definitely only for a very special occasion! I took the time to stamp and colour in several copies of the Poppies with blender pens. Then I carefully cut out the petals added dimensionals and popped them up in the different layers. This really added a lot of dimension to the card and that's the true "WOW" factor of the card! 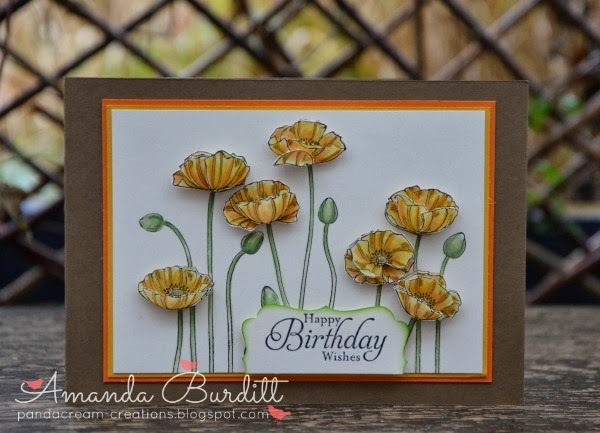 This card would have taken a lot less time and still had that "wow" factor if I'd been a bit less ambitious and maybe just stamped a section with 3ish flowers instead of a whole group! We all live and learn. I'll be sure to save this for someone very special! Right I have to dash! I'm invigillating all morning - several very long exams!